Battery Operated Paper Lanterns - 3 Pk Only $9.99 Plus FREE Shipping! You are here: Home / Great Deals / Battery Operated Paper Lanterns – 3 Pk Only $9.99 Plus FREE Shipping! Battery Operated Paper Lanterns – 3 Pk Only $9.99 Plus FREE Shipping! Fun and festive, these paper lanterns make for great party decorations. Keep your barbecue well lit with these cute lights or decorate your living room with a more playful look! 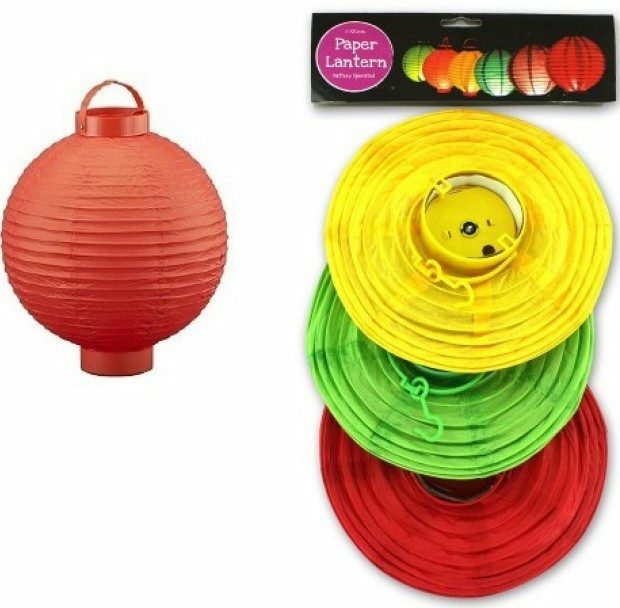 This Battery Operated Paper Lanterns – 3 Pk for Only $9.99 Plus FREE Shipping contains one lime green, one red, and one yellow!